Also, you can play as a piece of poop! 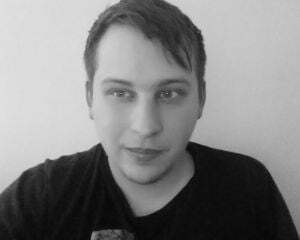 Super Time Force, in the state that it's being shown at PAX Prime, is a product that has been refined and shaped by player feedback along all steps of the development process. Capybara Games first showed the game at PAX East 2012, after a mere couple months working on the project. As conventions came and went, the developers used information gleaned from watching people play Super Time Force to perfect it. Anyone would be hard-pressed to say this method hasn't worked, because Super Time Force is really damn good. 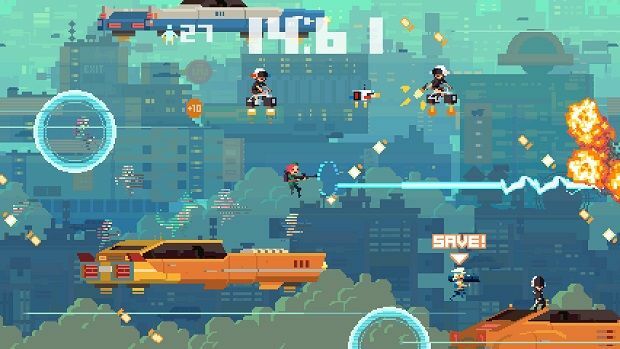 Super Time Force follows a cast of characters that are on a mission to right all the wrongs in the history of time -- both past and future. For instance, the crew embarks on a quest to prevent the extinction of the dinosaurs. They also travel to the future to download Internet plug-ins, because as studio head Nathan Vella told me, "Downloading new plug-ins is pretty much the worst thing ever". Exactly how they do all this is the game's hook. The team's ability to manipulate time permeates the core experience. The side-scrolling Contra-like shooter expects you to die -- several times over in fact. That's why everything's a one-hit kill. After each death, the player can seamlessly rewind the level as far as they want to re-attempt the bit they just failed. As this happens, you play alongside your former characters up until the point that they die. However, if you're able to dispose of that particular enemy before they can kill your recently deceased past self, you can save them and acquire their powers and health. Dying isn't so much a failure in Super Time Force, but more of an opportunity. The right combination of deaths and different characters played can lead to some scenarios where you're ridiculously powerful. But you don't need to play that way. Super Time Force lends itself well to a strategic style, but a brute force method also works, as I experienced. Simply dying, rewinding, and taking another go at the same bit with yet one more character providing firepower can work wonders. The only real criticism I have is that this can get so hectic and cluttered that it's near impossible to keep track of the person that you're actually controlling. Of course, there are limitations to ensure that you can't be overly sloppy. Each level has a maximum of 30 rewinds that can be used, and probably more importantly, 60 seconds to complete it. The minute-long restriction can be manipulated through the use of rewinds and icons that tack an extra ten seconds onto the clock. Theoretically, as you keep rewinding, you become more efficient and can save a ton of time. 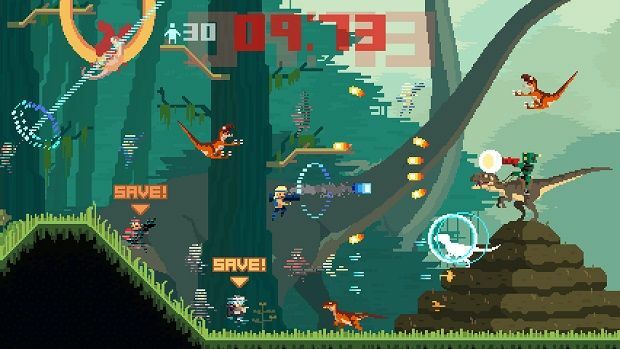 While the mechanics of the game are well thought-out, Capybara has no intention of presenting Super Time Force as an overtly serious game. One member of the team is a skateboarding dinosaur named "Zackasaurus". Another is a piece of poop whose special attack is farting gas on enemies. Not exactly a Peter Molyneux production. That type of silliness seems like it'll define the entire Super Time Force experience, and it's almost impossible not to fall in love with it on some level. Right now, Capybara has only announced it for Xbox Live Arcade, but Vella hinted that it's a timed exclusive. Regardless of what platforms it ends up on, you're probably going to want to do yourself a favor and try it out for yourself.